For decades the intelligence community led by the C.I.A. have taken great steps to both infiltrate and control Hollywood and the making of films in the U.S. The evidence is both vast and inarguable. In recent years a number of respected journalist have researched this fact and have published books detailing this clandestine action. In the span of time since the C.I.A. has actively inserted itself into the mass media of movie making, they have developed a technique known among operatives as 'Predictive Programming'. Programmed Predictives are now used to both manipulate public opinion and control the American public through subversive means. It is used to paint the agency in a positive light and at it's darkest, it is used to conduct 'false flag' events that are used on a regular basis in order to control American public opinion in favor of a number of foriegn policy initiatives. Although some researchers believe that the infiltration of Hollywood began in the 1950's, it can be argued that this was preceded by 'Operation Mockingbird'. This operation began in the 1950's and was an initial attempt by the intelligence community to control the news media within the U.S.. Operation Mockingbird also sought to use student, cultural organizations and magazines as front organizations for propaganda purposes. According to writer Deborah Davis, Mockingbird was aggressive in recruiting leading journalists into a propaganda network and also provided funding to the National Student Association. The first mention of 'Operation Mockingbird', appeared in 'Katherine the Great' a 1979 biography of Washington Post owner Katherine Graham written by reporter Deborah Davis. According to Davis, Operation Mockingbird was overseen by a C.I.A. agent named Frank Wisner, Director of the Office of Policy Coordination, a covert operations unit created by the U.S. National Security Council. Mockingbird was implemented in response to a soviet front operation called the 'International Organization of Journalists'. This organization recieved funding from Moscow and eventually controlled major journalists in almost every major newspaper in Europe. Wisner recruited Phil Graham from The Washington Post to run the 'Mockingbird' project within the industry. According to Davis, "By the early 1950s, Wisner 'owned' respected members of The New York Times, Newsweek, CBS and other communications vehicles." Davis goes on to write, "In 1951, Allen Dulles persuaded Cord Meyer to join the CIA. According to Deborah Davis, Meyer became Mockingbird's "principal operative." After 1953, the media network was overseen by CIA Director Allen Dulles, by which time Operation Mockingbird had major influence over 25 newspapers and wire agencies. The usual method was placing reports developed from intelligence provided by the CIA to cooperating or unwitting reporters. Those reports would be repeated or cited by the preceding reporters, which in turn would then be cited throughout the media wire services. These networks were run by people with well-known liberal but pro-American big business and anti-Soviet views, such as William S. Paley (CBS), Henry Luce (Time and Life), Arthur Hays Sulzberger (The New York Times), Alfred Friendly (managing editor of The Washington Post), Jerry O'Leary (The Washington Star), Hal Hendrix (Miami News), Barry Bingham, Sr. (Louisville Courier-Journal), James S. Copley (Copley News Services) and Joseph Harrison (The Christian Science Monitor)." "The CIA has a long history of “spooking the news,” dating back to its earliest days when the legendary spymaster Allen Dulles and his top staff drank and dined regularly with the press elite of New York and Washington, and the agency boasted hundreds of U.S. and foreign journalists as paid and unpaid assets. In 1977, after this systematic media manipulation was publicly exposed by congressional investigations, the CIA created an Office of Public Affairs that was tasked with guiding press coverage of intelligence matters in a more transparent fashion. The agency insists that it no longer maintains a stable of friendly American journalists, and that its efforts to influence the press are much more above board. But, in truth, the intelligence empire’s efforts to manufacture the truth and mold public opinion are more vast and varied than ever before. One of its foremost assets? Hollywood." The flag-waving Tom Clancy franchise became a centerpiece of CIA propaganda in the 1990s, with a succession of actors (Alec Baldwin, Harrison Ford, and finally Ben Affleck) starring in films like Patriot Games, Clear and Present Danger, and The Sum of All Fears, which pit the daring agent Jack Ryan against an array of enemies, from terrorists to South American drug lords to nuclear-armed white supremacists. The concern isn't that the C.I.A. is attempting to bolster public opinion so that they look good, the concern is that there is also a vast amount of evidence that this program has taken a much darker turn and is now being used clandestinely to pepetrate social engineering and the mass manipulation of public opinion to justify crimes against the American people. In recent years it has become evident that C.I.A. 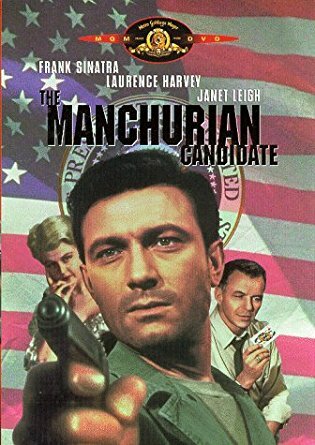 has been using Hollywood to use "Programmed Prediction" in it's movies and in television shows that seem to be a way of not only foretelling the future but also as a way to desensitize the public to a number of 'false flag' operations which have been used to get the American public behind it's foriegn policy initiatives in an artificial way. One of the most striking, compelling, and shocking examples of this comes from X-Files creator Chris Carter who launched a spinoff show called 'Lone Gunmen'. This program ran an episode 6 months before the events of 911 that show in detail the event itself. It is known that Chris Carter was in contact with the C.I.A. and had been approached a number of time concerning content being covered in the X-Files program. The video of this episode of 'Lone Gunmen' is below. Another example of project Orion can be found in the movie theater shooting that occurred in Aurora, Colorado. James Holmes may have been another operation Orion victim. It has been speculated by investigators that he was 'programmed' to conduct the crime he committed. This programming works so that the operative is 'activated' by a certain scene of a particular movie. The scene is chosen by the control officer and when it is time to activate the 'shooter', they are simply shown the movie in which the scene is located. Often these scenes contain subliminal messages which become the trigger for the 'shooter'. This is the very dark side of 'Programmed Predictives' as they are now being used by certain elements within the intelligence community. How far they are able to take these operations will in large part dictate what happens to our society. It is the hope of the P.I.A. that the American public will awaken to what is happening and once again take steps to have a fair and free press. The truth behind Stanley Kubric's role in N.A.S.A. 's Apollo missions has been one of speculation by a number of researchers over the years. Chief among these researchers is the accomplished film producer Jay Weidner. Kubric's role in the missions has been the topic of a number of Weidner's films and it is primarily in his very sound research that one can see a glimpse of the truth of what actually occurred to Kubric. Jay Weidner is both a film producer as well as an adept film student who has undertaken years of analysis of both the moon landing footage as well as the complete corpus of Kubric's cinematic work. Upon forensic analysis of the moon landing footage a number of anomalies were discovered, which could only be explained by the use of technology which would have been considered extremely advanced in the early 1960's. Weidner's investigation discovered that in late 1963, Stanley Kubric was approached by elements of the U.S. Intelligence community and tasked with the job of faking the now famous Apollo moon landings. This is where Weidner's investigation alters from so many conspiracy theories surrounding the Apollo moon landings. 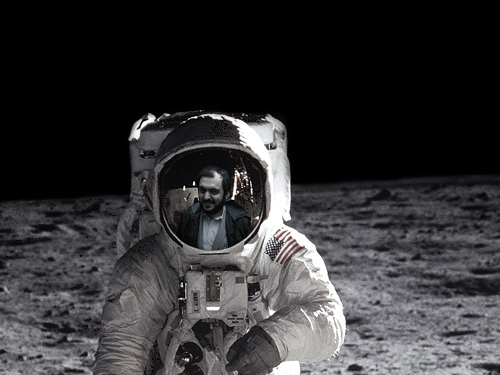 Many conspiracists claim that man never even made it to the moon but Weidner's investigation offers an alternative theory. His theory states that we did indeed successfully make it to the moon but that the footage was faked as a 'just in case' scenario. The intelligence agents that approached Kubric were likewise tasked with conducting the hoax mostly in case of failure. The idea of this operation was that if we did not successfully land on the moon, the footage would be aired anyway along with claims of success. These operatives would then be able to claim that the astronauts had successfully made the landing but died heroically on their way back. Another reason for the fakery of this footage, according to Weidner's work is that the U.S. was engaged in a death match of a cold war with the Soviet Union and didn't want to show the Russians the technology that was really being used to get our astronauts to space. Kubric's payoff for engaging in this operation was that he was going to be able to make any movie he wanted for the rest of his life with very little or no oversight from anyone. This agreement apparently continued until his final movie "Eyes Wide Shut', where he supplies an insiders look a the globally powerful cult which largely controls world politics and resources on this planet. Upon careful analysis of the moon landing footage, when compared to the footage of '2001 A Space Odyssey', an amazing coincidence can be seen. This coincidence is that both the movie and the moon landing footage were created using a then newly discovered cinematic technique known as 'Front Screen Projection'. This technique utilized a new material that had been developed by the 3M corporation called Scotch Light. This material used hundreds of thousands of tiny glass beads. These beads are highly reflective. In the Front Screen Projection technique, this material would be placed at the back of the soundstage. The plane of the camera lense and the Scotch Light screen had to be exactly 90 degrees apart. The projector would then project the false scene onto the Scotch Light screen through a mirror. The light would then go through a beam splitter that would then pass the light into the camera. An actor could then stand in front of the Scotch Light screen and appear to be fully in the scene being projected. This technique was used extensively in 2001 A Space Odyssey. 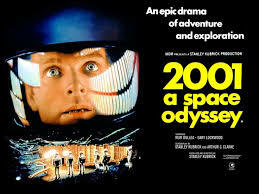 The Apollo footage and the movie 2001 were filmed almost simultaneously in two seperate studios located in London. This footage was faked 3-4 years before it was ever seen by the public. It is believed that 2001 'A Space Odyssey' was one of the first attempts at the Intelligence community's use of the technique now known as 'Programmed Predicitives'. This is the use of Hollywood movies and imagery to get the public to begin to accept or believe in something before it is ever officially revealed. It is the ulimate attempt as social engineering, using the media of images. In this film, Kubric used the technique of slowing down the actor's real speed through a slow motion camera technique, something he also utilized in the moon landing footage. In reality, the movements of the astronauts should have been much quicker and sharper in an atmosphere which provides almost no resistance. This was an attempt to get the public to accept the unnatural movement of the astronauts as being natural. Read the rest of our report on our DEEP BLACK REPORT page, available to subcribers for $9.95/year in our Web Store! There have been many conspiracy theories surrounding the Apollo moon landings. Now the P.I.A. has discovered the truth of Kubric's role in the Apollo missions and we will be sharing this information in an all new Deep Black Report. Available Now On Our Deep Black Report, Only $9.95 For A One Year Subscription. Available In Our Webstore. "Any sufficiently advanced science will be indistinguishable from magic." For a very long time now, we have suspected that underlying the vast amount of different types of paranormal activity being reported to us and to other investigators, was a pattern of evidence to connect them all to a singular source. The pieces of this puzzle are vast and wide ranging in scope. When they are placed together, however, they present a breathtaking whole. Many of our readers are well aware of the Cattle Mutilation Phenomenon or as we refer to it, the Unexplained Animal Death Phenomenon. 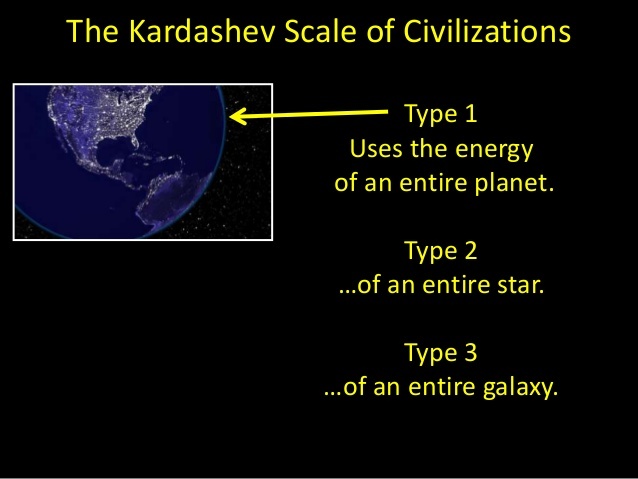 This was very much brought to the attention of the American public by way of the work of the renowned researcher Linda Moulton Howe. What is so interesting about the Cattle Mutilation Phenomenon is that this occurrence is not limited to cattle but to almost every animal one can think of. The fact that this is the case and that victims of this phenomenon stretch from wild lizards all the way up to humans and that this occurs in every country around the world, indicates to us that any and all theories whereby these activities are being conducted by some sort of as yet undiscovered and unnamed black operations military group, are in error. The TR-3B Secret Spacecraft, The Belgium U.F.O. Wave, And The Secret Mars Colony Part 2: Available only to subscribers. Some of the best footage of the TR-3B in action comes from Charlottesville, Virginia. This footage was obtained on July 24, 2016. Reports continue to describe sightings of these triangular craft. The most recent case comes from Exmouth, England and occurred on April 17, 2017. 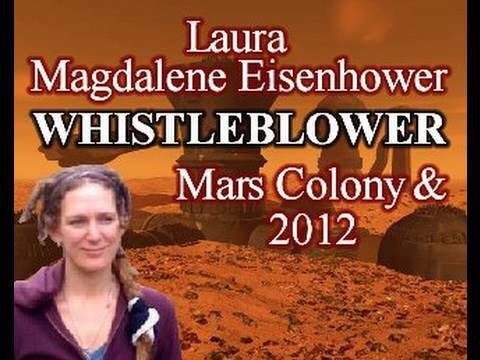 "All of this information ties in very well with yet another source claiming that she was approached by intelligence agents who attempted to recruit her into a program dealing with a secret Mars colony in 2006." The rest of the story can be found on our Deep Black Reports page available by subscription through our web store. Did the Smithsonian cover up mysterious finds in both the Grand Canyon and Wisconsin? The latest news of the progress of the explorations of what is now regarded by scientists as not only the oldest archaeological discovery in the United States, but one of the most valuable in the world, which was mentioned some time ago in the Gazette, was brought to the city yesterday by G. E. Kinkaid, the explorer who found the great underground citadel of the Grand Canyon during a trip from Green river, Wyoming, down the Colorado, in a wooden boat, to Yuma, several months ago. 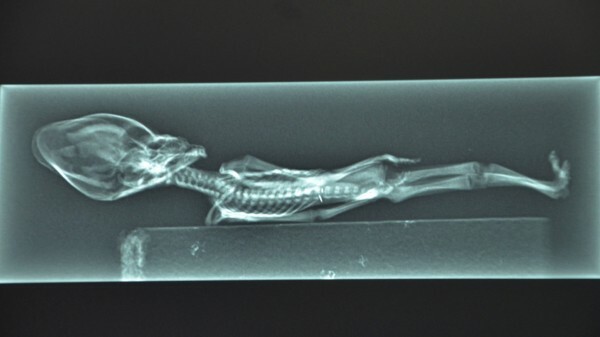 According to the story related yesterday to the Gazette by Mr. Kinkaid, the archaeologists of the Smithsonian institute, which is financing the explorations, have made discoveries which almost conclusively prove that the race which inhabited the mysterious cavern, hewn in solid rock by human hands, was of oriental origin, possibly from Egypt, tracing back to Ramses. If their theories are borne out by the translation of the tablets engraved with hieroglyphics, the mystery of the prehistoric peoples of North America, their ancient arts, who they were and whence they came, will be solved. Egypt and the Nile, and Arizona and the Colorado, will be linked by a historical chain running back to ages which staggers the wildest fancy of the fictionist. Under the direction of Prof. S. A. Jordan, the Smithsonian institute is now prosecuting the most thorough explorations, which will be continued until the last link in the chain is forged. Nearly a mile underground, almost 1480 feet below the surface, the long main passage has been delved into, to find another mammoth chamber from which radiates scores of passageways, like the spokes of a wheel. Several hundred rooms have been discovered, reached by passageways running from the main passage, one of them having been explored for 854 feet and another 634 feet. The recent finds include articles which have never been known as native to this country, and doubtless they had their origin in the orient. War weapons, copper instruments, sharp-edged and hard as steel, indicate the high state of civilization reached by these strange people. So interested have the scientists become that preparations are being made to equip the camp for extensive studies, and the force will be increased to thirty or forty persons. Before going further into the cavern, better facilities for lighting will have to be installed, for the darkness is dense and quite impenetrable for the average flashlight. In order to avoid being lost, wires are being strung from the entrance to all passageways leading directly to large chambers. How far this cavern extends no one can guess, but it is now the belief of many that what has already been explored is merely the "barracks" to use an American term, for the soldiers, and that far into the underworld will be found the main communal dwellings of the families. The perfect ventilation of the cavern, the steady draft that blows through, indicates that it has another outlet to the surface." "First, I would impress that the cavern is nearly inaccessible. The entrance is 1,486 feet down the sheer canyon wall. It is located on government land and no visitor will be allowed there under penalty of trespass. The scientists wish to work unmolested, without fear of hunters. A trip there would be fruitless, and the visitor would be sent on his way. The story of how I found the cavern has been related, but in a paragraph: I was journeying down the Colorado river in a boat, alone, looking for mineral. Some forty-two miles up the river from the El Tovar Crystal canyon, I saw on the east wall, stains in the sedimentary formation about 2000 feet above the river bed. There was no trail to this point, but I finally reached it with great difficulty. Above a shelf which hid it from view from the river, was the mouth of the cave. There are steps leading from the entrance some thirty yards to what was, at the time the cavern was inhabited, the level of the river. When I saw the chisel marks on the wall inside the entrance, I became interested, securing my gun and went in. During that trip I went back several hundred feet along the main passage, till I came to the crypt in which I discovered the mummies. One of these I stood up and photographed by flashlight. I gathered a number of relics, which I carried down the Colorado to Yuma, from whence I shipped them to Washington with details of the discovery. Following this the explorations were undertaken. The main passageway is about 12 feet wide, narrowing to nine feet feet toward the farther end. About 57 feet from the entrance, the first side-passages branch off to the right and left, along which, on both sides, are a number of rooms about the size of ordinary living rooms of today, though some are 30 by 40 feet square. These are entered by oval shaped doors and are ventilated by round air spaces through the walls into the passages. The walls are about three feet six inches in thickness. The passages are chiseled or hewn as straight as could be laid out by an engineer. The ceilings of many of the rooms converge to a center. The side- passages near the entrance run at a sharp angle from the main hall, but toward the rear they gradually reach a right angle in direction. Over a hundred feet from the entrance is the cross-hall, several hundred feet long, in which are found the idol, or image, of the people's god, sitting cross-legged, with a lotus flower or lily in each hand. The cast of the face is oriental, and the carving shows a skillful hand, and the entire is remarkably well preserved, as is everything in this cavern. The idol most resembles Buddha, though the scientists are not certain as to what religious worship it represents. Taking into consideration everything found thus far, it is possible that this worship most resembles the ancient people of Tibet. Surrounding this idol are smaller images, some very beautiful in form; others crooked-necked and distorted shapes, symbolical, probably, of good and evil. There are two large cactus with protruding arms, one on each side of the dais on which the god squats. All this is carved out of hard rock resembling marble. In the opposite corner of this cross-hall were found tools of all descriptions, made of copper. These people undoubtedly knew the lost art of hardening this metal, which has been sought by chemists for centuries without result. On a bench running around the workroom was some charcoal and other material probably used in the process. There is also slag and stuff similar to matte, showing that these ancients smelted ores, but so far no trace of where or how this was done has been discovered, nor the origin or the ore. Among the other finds are vases or urns and cups of copper and gold, made very artistic in design. The pottery work includes enameled ware and glazed vessels. Another passageway leads to granaries such as found in oriental temples. They contain seeds of various kinds. One very large storehouse has not yet been entered, as it is twelve feet high and can be reached only from above. Two copper hooks extend on the edge, which indicates that some sort of ladder was attached. These granaries are rounded, as the materials of which they are constructed, I think, is a very hard cement. A gray metal is also found in this cavern, which puzzles the scientists, for it's identity has not been established. It resembles platinum. Strewn promiscuously over the floor everywhere are what people call "cat's eyes", a yellow stone of no great value. each one is engraved with the head of the Malay type. On all of the urns, or walls over doorways, and tablets of stone which were found by the image, are the mysterious hieroglyphics, the key to which the Smithsonain Institute hopes yet to discover. The engraving on the tablets probably has something to do with the religion of the people. Similar hieroglyphics have been found in southern Arizona. Among the pictorial writings, only two animals are found. One is a prehistoric type. The tomb or crypt in which the mummies were found is one of the largest chambers, the walls slanting back at an angle of about 35 degrees. On these are tiers of mummies, each one occupying a separate hewn shelf. At the head of each is a small bench, on which is found copper cups and pieces of broken swords. Some of the mummies are covered in clay, and all are wrapped in a bark fabric. The urns or cups on the lower tiers are crude, while as the higher shelves are reached the urns are finer in design, showing a later stage of civilization. It is worthy of note that all the mummies examined so far have proved to be male, no children or females being buried here. This leads to the belief that this exterior section was the warrior's barracks. 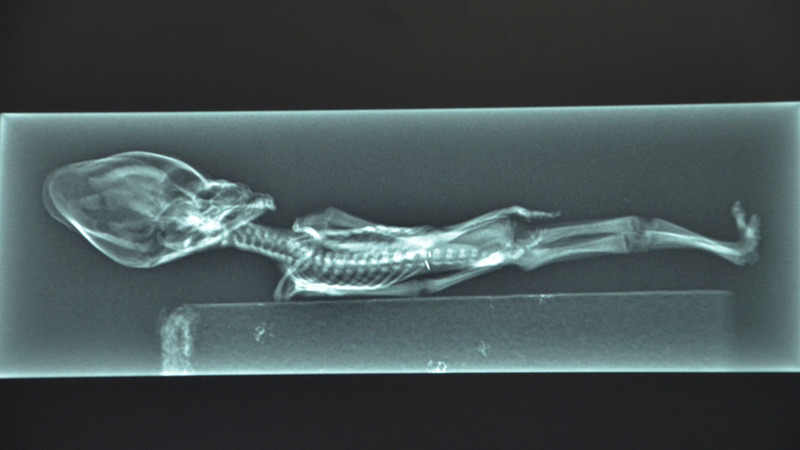 Among the discoveries no bones of animals have been found, no skins, no clothing, no bedding. Many of the rooms are bare but for water vessels. One room, about 40 by 700 feet, was probably the main dining hall, for cooking utensils are found here. What these people lived on is a problem, though it is presumed that they came south in the winter and farmed in the valleys, going back north in the summer. Upwards of 50,000 people could have lived in the caverns comfortably. One theory is that the present Indian tribes found in Arizona are descendants of the serfs or slaves of the people which inhabited the cave. Undoubtedly a good many thousands of years before the Christian era a people lived here which reached a high stage of civilization. The chronology of human history is full of gaps. Professor Jordan is much enthused over the discoveries and believes that the find will prove of incalculable value in archaeological work. One thing I have not spoken of, may be of interest. There is one chamber of the passageway to which is not ventilated, and when we approached it a deadly, snaky smell struck us. Our lights would not penetrate the gloom, and until stronger ones are available we will not know what the chamber contains. Some say snakes, but others boo-hoo this idea and think it may contain a deadly gas or chemicals used by the ancients. No sounds are heard, but it smells snaky just the same. The whole underground installation gives one of shaky nerves the creeps. The gloom is like a weight on one's shoulders, and our flashlights and candles only make the darkness blacker. Imagination can revel in conjectures and ungodly daydreams back through the ages that have elapsed till the mind reels dizzily in space. In connection with this story, it is notable that among the Hopi Indians the tradition is told that their ancestors once lived in an underworld in the Grand Canyon till dissension arose between the good and the bad, the people of one heart and the people of two hearts. Machetto, who was their chief, counseled them to leave the underworld, but there was no way out. The chief then caused a tree to grow up and pierce the roof of the underworld and then the people of one heart climbed out. They tarried by Paisisvai (Red River), which is the Colorado, and grew grain and corn. They sent out a message to the Temple of the Sun, asking the blessings of peace, and good will and rain for the people of one heart. That messenger never returned, but today at the Hopi villages at sundown can be seen the old men of the tribe out on the housetops gazing towards the sun, looking for the messenger. When he returns, their lands and ancient dwelling place will be restored to them. That is the tradition. Among the engravings in the cave is seen the image of a heart over the spot where it is located. The legend was learned by W. E. Rollins, the artist, during a year spent with the Hopi Indians. 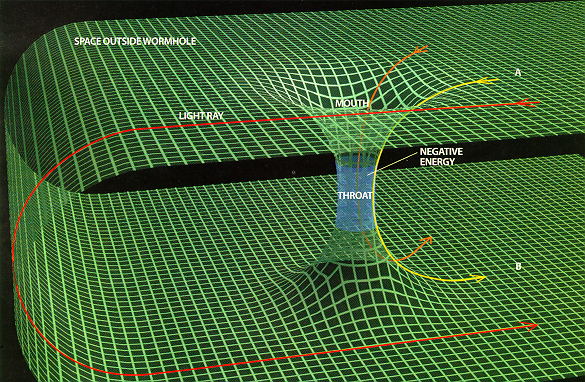 There are two theories of the origin of the Egyptians. One is that they came from Asia; another that the racial cradle was in the upper Nile region. Heeren, an Egyptologist, believed in the Indian origin of the Egyptians. The discoveries in the Grand Canyon may throw further light on human evolution and prehistoric ages." The fact that we now have two seperate articles from two very credible news sources from the turn of the early 1900's describing finds that the Smithsonian now claims no knowledge of, constitutes a very real mystery if not an outright coverup. Many researchers have begun to pick up on the developing pattern of what appears to be a conscious effort to cover up archeological finds that would upset established belief systems. 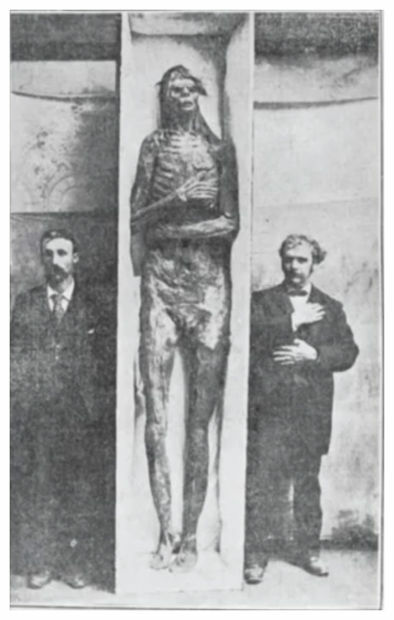 In the past year the television show titled "America Unearthed", ran an episode in which they feature a farmer in Minnesota who claims that a "giant" was also discovered on his farm and subsequently covered up by the State archeologist. See video below. The New York Times article also describes these giants as having a double row of teeth and this is something that stood out to our researchers right away,. Robert Temple in his seminal work the "Sirius Mystery", describes how offspring of the Annunaki also possessed a double row of teeth. This is something that even Samson was said to possess and which still shows up from time to time in Annunaki bloodlines stretching back eons. Three seperate well documented instances constitutes a paraormal pattern and in this case the pattern is about to lead researchers to the ultimate truth. UFO documentary reveals humanoid of unknown classification? This is a very interesting photograph of a UFO taken by an astronaut on board the ISS.